This book is dedicated to my parents, Mr. Kofi Ibrahim Mensah and Mrs. Sakeena Mensah, whose love and unfailing support has made me what I am. I love you Dad and Mum. It is also dedicated to my Uncle Ahaji Ismail Adam of Bank of Ghana. My ultimate appreciation goes to the Almighty Allah for giving me the wisdom, knowledge and strength to undertake this work. My thanks go to Musah Kofi Amissah (Wakito), ICT Tutor, Ekumfi T. I. Ahmadiyya SHS whose advice and motivation propelled me into writing this book. I am also grateful to Mr. Jebreel Odoom of Ekumfi T. I. Ahmadiyya SHS (Formerly of Adisadel Collage) who read through the manuscript and suggested improvement and to Nana Esi Bedua Taylor for her encouragement. 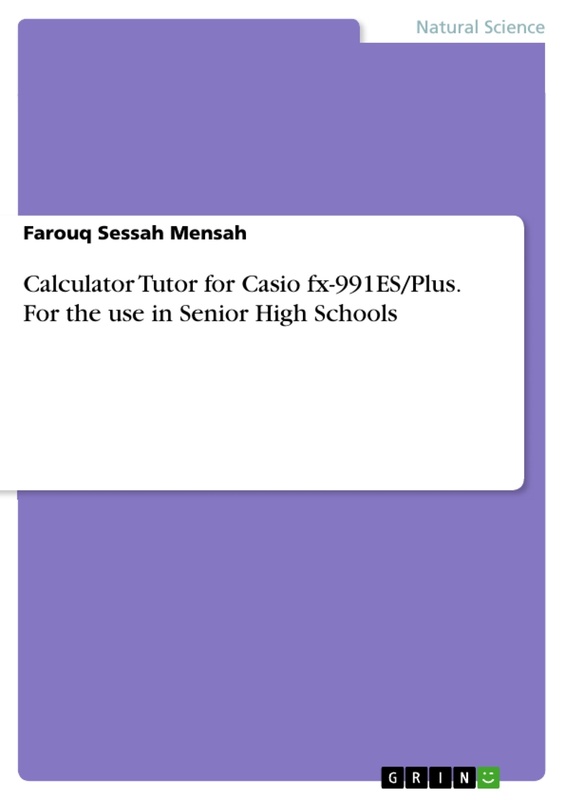 Calculator Tutor Casio fx – 991ES/PLUS 4 I am also grateful to numerous colleagues and friends who made useful criticisms and comments during the writing of the manual. I am especially grateful to Obed Yankson (Mathematics Tutor, Kwagyery Aggrey SHS), Issach Egyir ( Head of Mathematics Department, Ekumfi T. I. Ahmadiyya SHS), Usman Kofi Mensah (Ezi Savings and Loans), George Bello, (Coordinator, CCE, UCC, Zenith Center), Edward Kweku Walker (Mathematics Tutor, University JHS, UCC) Sarah Ansah and Muzafar Ackonu for excellent typing work. Finally, my thanks goes to all teachers of Ekumfi T. I. Ahmadiyya SHS for their cooperation during my period of teaching and to my numerous Students whose effort led to the writing of this manual. However, any shortcomings the book may possess are entirely my own responsibility. Farouq Sessah Mensah was born on the March, 1988 at Akim Oda in the Eastern Region of Ghana. He started is basic education at Flagstaff House Basic School and completed in April, 2003. Farouq then continued his secondary education at T.I. Ahmadiyya SHS, Kumasi in the same year. 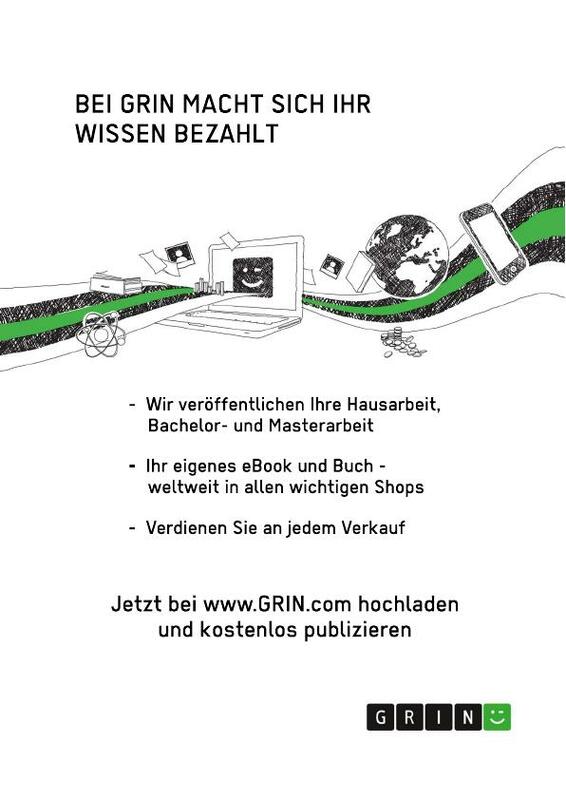 He studied Business and completed in May, 2006. After, secondary education He continued to the University of Cape Coast where He read Bachelor of Education (Mathematics) and completed in May 2011. Had his national service at University Junior High School, UCC where he taught Mathematics. He is currently teaching Mathematics at Ekumfi T.I. Ahmadiyya SHS. The Author’s experience in teaching Mathematics propelled him to write this book to aid students write Mathematics papers with ease, faster and accurately. 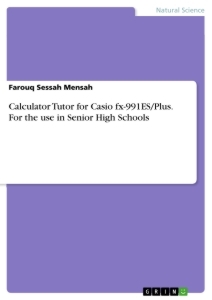 The Calculator Tutor is written with the core objective to assist students preparing for West African Secondary Certificate Examination (WASSCE) and for students in the tertiary institutions to easily make good use of the calculator to solve most of the objective questions and to verify their answers for the written papers. The book has been structured to alley students’ fear of answering some complicated objective questions in both Core and elective Mathematics papers. Model questions and step by step ways of solving them with the scientific calculator have been provided to facilitate grasping of the content. The author is optimistic that any student who constantly practice the content of this book will not be found wanting as far as mathematics examination is concerned. It must however, be noted that I am not a master of all knowledge. Consequently, I warmly welcome any useful criticism and suggestions for future work. Before starting a calculation, you must first enter the correct mode pertaining to the type calculation you want to make. The mode are indicated in the table below. The calculation mode can be returned to the initial default by pressing the [SHIFT] [CLR]  [MODE] [=] [AC] or simply [MODE]  (COMP). All data currently in the calculator memory is cleared when this key sequence is used: [SHIFT] [CLR]  [=] [AC].  - Press [SHIFT] [STO] followed by the alphabet you want to store the number. - The stored number could be recalled by pressing [RCL] followed by the alphabet that the number was stored. For the calculator to be used to do calculations on equations, the EQN (equation mode) should be turned on. Thus [MODE]  will turn the EQN on. The equation function is used for the calculation of simultaneous, quadratic and cubic equations. To turn on the simultaneous equation function: [MODE] . Option 1 and 2 are the simultaneous equation modes. Select option 1 if the equation has two unknown variables or option 2 if it has three unknown variables. Here we are interested in two unknown variables. The procedure is exactly the same for three unknown variables.